I'm Here. I'm Queer. What the Hell do I read? : Is He Or Isn't He? 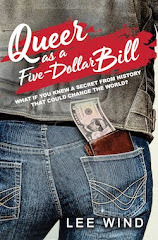 Best friends Anthony and Paige are seniors at a wealthy private High School in New York City. Anthony's gay, and recently single. Paige just can't seem to find a nice guy. Because whoever's team Max plays for, that's whose going to go after him! 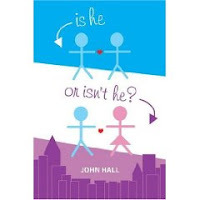 Add your review of "Is He Or Isn't He?" in comments! In my experience, boys named Max are disproportionately gay. Really. It's true. I swear. I know, I know two guys with exes named Max at least, and thatps from people at my high school. J (especially Justin; almost everyone I know named Justin is gay) and A names are also often gay, as is Ryan.